So far this album sounds better than the last to me, so I'm looking forward to it. Certainly an improvement on the last album but neither track is up to Black Gives Way To Blue's standard. Not up to the best tracks on BLack, no. I'd take The One You Know over a few songs on that album though. I like the two tracks that have come out thus far. I expect it will be good ol’ consistent AIC. Hopefully more chance for Duvall to take the lead as well. They managed to keep a tight lid on this album. I didn't see any reviews for it popping up online until release week. - it's definitely better than the last album. It's shorter, for one, and the songs are punchier. The longest song is actually one of the best songs on the album too and closes the album on a pretty powerful and resonant note (All I Am). - On the downside, they are still having problems writing truly killer songs that compare to their best work. I wasn't necessarily expecting that, but this album isn't as good as their 2009 comeback let alone Dirt. - Duvall still isn't given many solo opportunities, but I guess that is to be expected at this point. They are playing it safe, and it's just the way it is. The harmonies are generally stronger than they were on the last record, so it isn't really a complaint, more of an observation. - It's a bit samey, but less so than the last album. Its shorter length ensures that the sameyness doesn't become too pronounced. i.e dull. Overall I'm happy with it and get the impression that it might be a grower. I'd like to see them take a few risks like they did on their eponmyous release, but again, I can't see that happening. 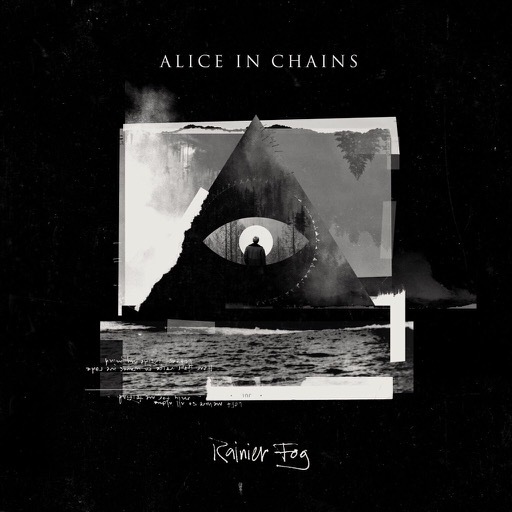 The angst is gone and so is most of the genuine aggression, which leaves current AIC sounding tamer than they did in the 90's, but they are middle aged men now and it would be unrealistic to expect them to sound like they did in their youth. They seem perfectly comfortable playing in this style, perhaps too comfortable some might say, but to me it's a more satisfying experience than The Devil....... and it's just better crafted as a whole, and it doesn't sound lazy. At this point old time fans have to decide whether they are a horse that's still worth backing. Mileage will obviously vary. For me they are still viable, for others they going through the motions, a spent force. Highlights: The One You Know, Rainier Fog, Maybe (somewhat reminiscent of Jar of Flies) and All I Am. Score: Strong 3.5 to low 4. I would agree with all of that Statters. Seems a touch more varied than 'The Devil Put Dinosaurs Here'. I prefer the production job on this as well. A bit more room, not as suffocating. Probably not quite up to 'Black Gives Way To Blue' as far as Duvall-era releases go, but I don't think it's too far off. I'm definitely enjoying it and coming back to it more than the previous album - the shorter length probably does help with that. Agree about the production. It's the same guy who produced the last two, but it's definitely more spacious and pleasing (to the ear). I've been returning to it quite a bit too. It certainly has more replay value than Dinosaurs, which gathered dust pretty quickly after the first week or two of release. The problem I had with Dinosaurs is that it seemed long and drony for the sake of it rather than as the result of any kind of well thought out plan. It's as if Cantrell was laboring under the misguided belief that a good riff becomes even better if it's repeated ad nauseum/ad infinitum. That works for some bands but not AIC who tend to shine when there are a strong melodies/harmonies to hang on their gargantuan riffs.